Tottenham summoned yet another late winner to beat Newcastle and ease past Manchester City into second place in the Premier League. 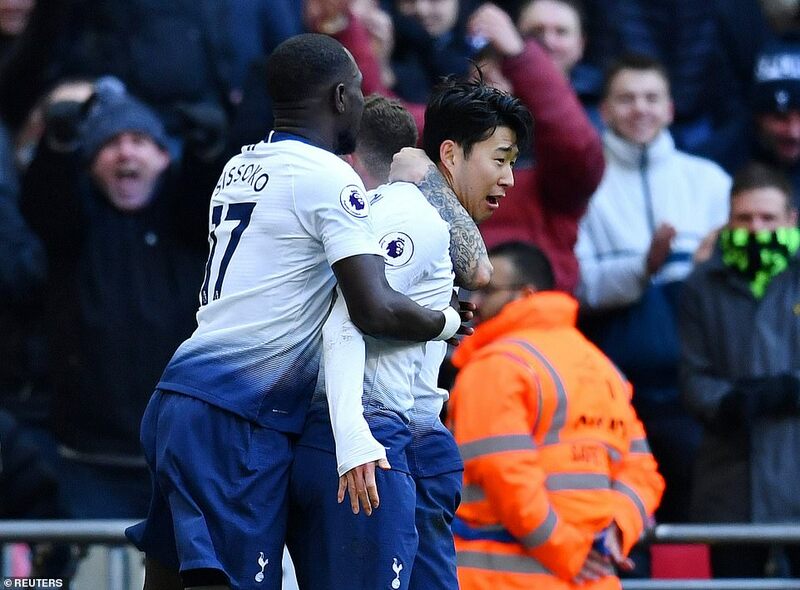 It was Heung-min Son who found the net in the 83rd minute just as it was beginning to seem like another wasted opportunity for Mauricio Pochettino’s title outsiders. Son collected a knock down from Fernando Llorente, shifted the ball onto his right foot and fired a shot which beat Martin Dubravka but really ought to have been saved. 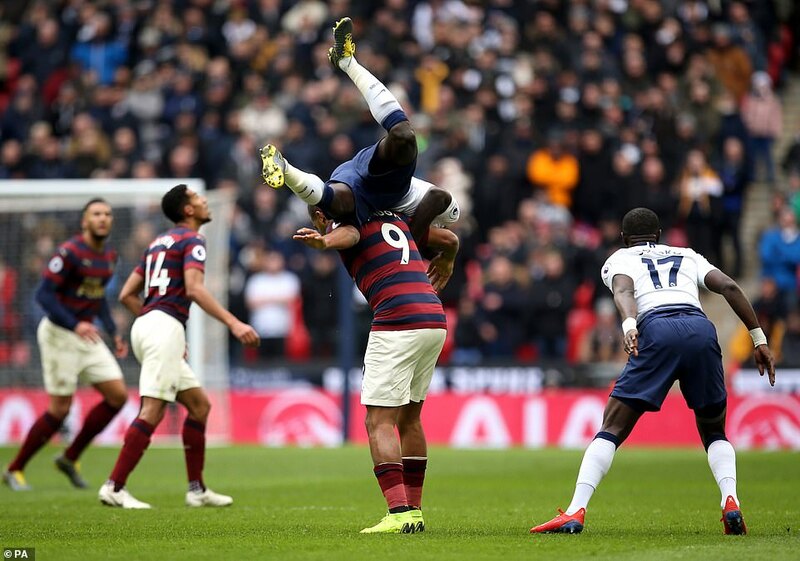 TOTTENHAM HOTSPUR (4-3-3): Lloris 6; Trippier 6.5, Sanchez 6.5, Alderweireld 6, Vertonghen 6.5; Sissoko 6.5, Winks 7, Eriksen 7.5; Lamela 6 (Rose 78), Moura 5.5 (Llorente 60, 6), Son 6.5 (Dier 89). 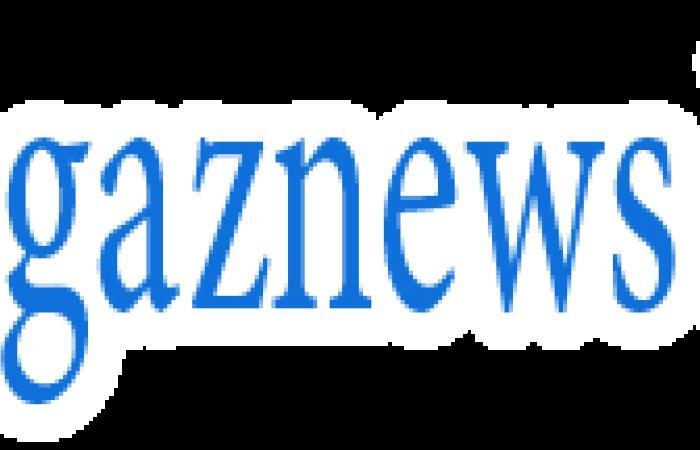 NEWCASTLE UNITED (5-4-1): Dubravka 5; Yedlin 6.5, Schar 6.5, Lascelles 7, Lejeune 6.5, Ritchie 6.5 (Barreca 86); Perez 6, Hayden 7, Longstaff 6.5, Atsu 6 (Kenedy 82); Rondon 6. SUBS NOT USED: Woodman, Clark, Fernandez, Manquillo, Joselu. Son Heung-min grabbed the only goal late on for Tottenham. CLICK HERE to see more from Sportsmail's MATCH ZONE. Spurs celebrated as they moved ahead of City, who play Arsenal on Sunday, and closed to within four points of Liverpool, who are at West Ham on Monday. They may have slipped out of two cup competitions in four days without the goal threat of Harry Kane and Dele Alli but are showing true fighting spirit in the Premier League. Harry Winks turned one point into three with the last kick of the game at Fulham and Fernando Llorente clinched victory against Watford on Wednesday with a goal in the 88th minute. 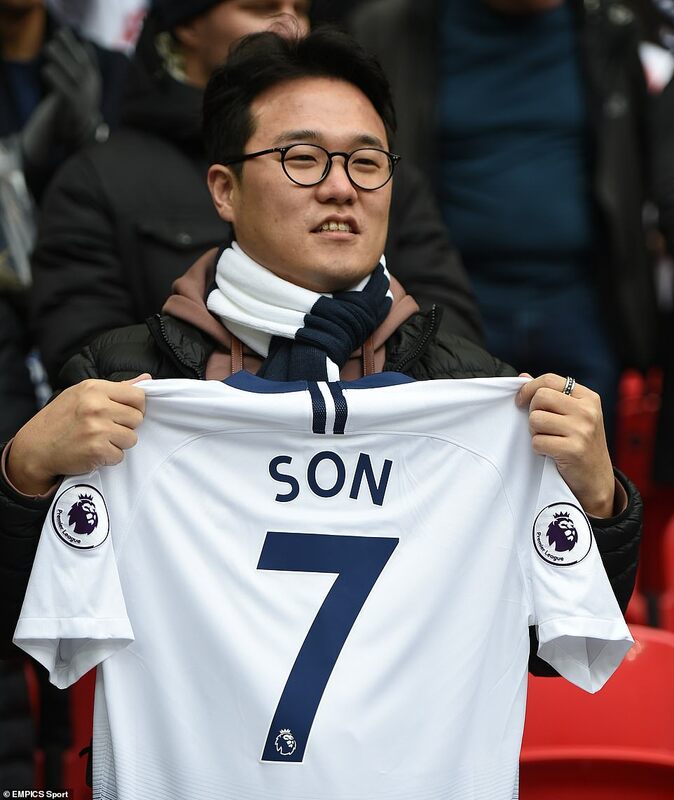 This time it was Son and Tottenham have set a new Premier League record of 29 games without a draw. 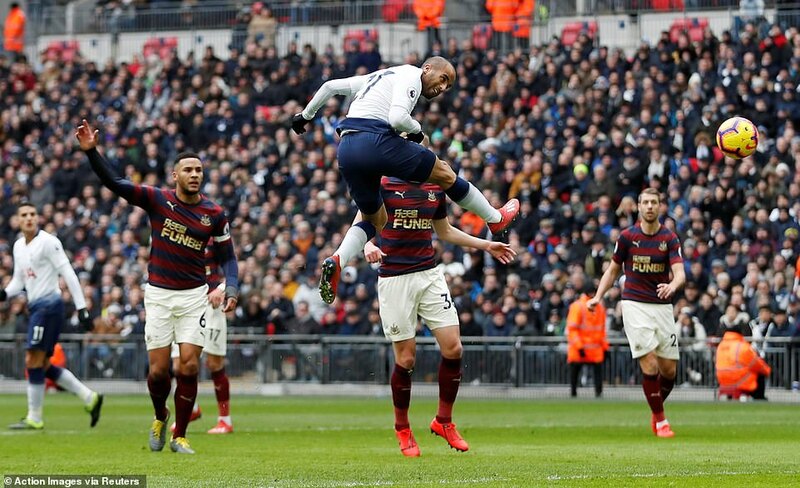 Pochettino tweaked his team and reverted to a back-four, with Jan Vertonghen at left-back and Lucas Moura deployed as “false nine” centre forward, flanked either side by Son and Erik Lamela. The first opportunity fell to Moura and he wasted it. 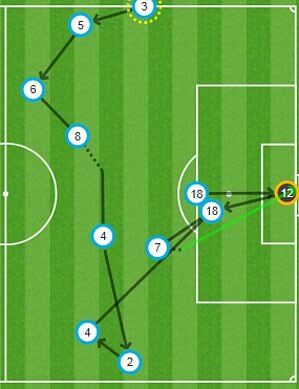 Lamela’s left-footed dink into the penalty area found him unmarked in front of goal, played on-side by Fabian Schar but Moura’s header squirted well wide. It was the sort of chance Pochettino might have wished to see falling to Llorente but the tall Basque striker who headed a late winner against Watford was back on the bench having started in all of the previous four games in the absence of Kane and Alli.